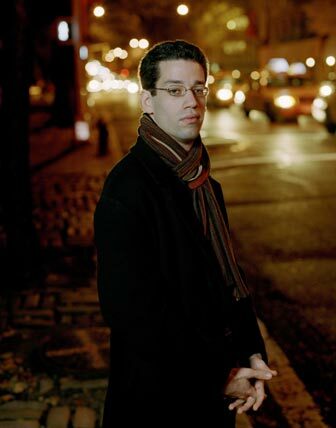 This year's Queen’s Hall series at the Edinburgh International Festival got off to a sprightly start in the hands of the young American pianist Jonathan Biss. Actually it is quite a challenge to find the right word for a recital that started with Mozart's Adagio. As a statement of intent it signalled seriousness and at the same time a refreshing inquisitiveness, for this is a curious work. Although the programme note's description 'profoundly tragic' anticipated an anachronistic romanticism, Biss took an ascetic approach, letting the idiosyncratic blend of harmonic adventure and structural rigour play itself out. Indeed, just as I was beginning to think of Satie's Vexations, Mozart's conclusion flipped into the major key in a Schubertian twist that prompted the fleeting thought that we could be here for hours. But no; without histrionics, Biss rounded out the final bars. What is an ascetic 'Appassionata' going to sound like? As his performance unfolded, Biss revealed a cultivated gift for melisma, delivering a tone somewhere between steely and silvery. If there is a concomitant deficit, his slim frame does not lend itself so readily to power or warmth. There was a tendency to let the opening movement's famously driven intensity slip away in tiny measures of phrase-ending allargando. Still, the sonata and especially its finale give ample scope to display his coruscating technique to maximum effect. Aside from the leaks in the first movement, Biss took no liberties with the score, and for the most part deferred to Beethoven — an observation that is meant as a complement! The second half of the recital opened with a work by Leon Kirchner — an unfamiliar figure on this side of the Atlantic, I think it is reasonable to say; and on this evidence likely to remain so. Five Pieces being a score that makes tremendous demanding on the performer’s technique, it is easy to see the attraction of the challenge from that side. As music, though, the alarm bells started ringing on reading that the work's genesis was in settings of Emily Dickenson’s poetry, in which the piano writing was reported to be 'rich and elaborate' — an unlikely combination, one would have thought. Still, music is music, and the loyalty it owes to whatever literary inspirations that might have got the creative process started is slight. Nevertheless, some of the precision and discipline of Dickenson's writing would have been welcome; instead, we have a sprawling melange of Ivesean clattering, Debussian (Debussyan?) poesy, and lush Russian late romanticism. To be fair, by the final number things are coming into focus, but a more critical compositional ear would surely not have left it so late? It is a bit of a surprise that Schumann's bicentenary didn't earn him a few more entries in this year's Festival programme, but this one was certainly welcome. Kreisleriana makes for a much happier literary marriage than the foregoing contribution, and it is a score that gives full rein to Biss's flair for melisma and for whispered understatement. A bit of a worry that had already begun to form during the Beethoven returned here, though: whether in understatement there is also a reticence or a becoming modesty that needs to be shifted a gram or two towards a more assertive approach. Certainly on this outing there is plenty of talent to work with. Mozart: too easy for children; too difficult for artists — so said Artur Schnabel. For an encore, Biss performed the second movement of Mozart's K330 sonata, and gave the lyrical aria an absorbing and elegant reading that left perhaps the most strongly positive impression of the whole recital. The concert was recorded for broadcast by BBC Radio 3 on 24 August 2010 at 1pm.